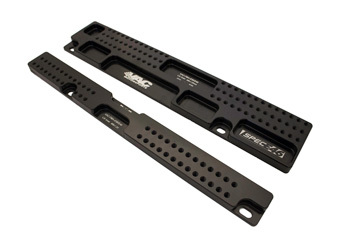 VAC Motorsports' extremely popular Floor Mount Adapters are now SPEC E46 Validated! Our Floor Mount Adapters allow you to mount Side Mounts from race seats, or Seat Sliders such as Sparco, Momo, or our VAC brand. They do not allow factory seats, or bottom mount seats to directly attach. We strongly recommend adding our Spec E46 Approved Superior Side Mount Adapters or purchasing them together in our discounted Race Seat Installation Kit: They tend to fit much better than the seat manufactures side mounts in the tight floor pan and help you center your seat to the steering wheel.